Planning vacations around wildfires. It’s officially a thing. If you’re from California or maybe Idaho, you’re used to fire as a part of life. Montana, Oregon and Washington are being hit particularly hard as well this year. 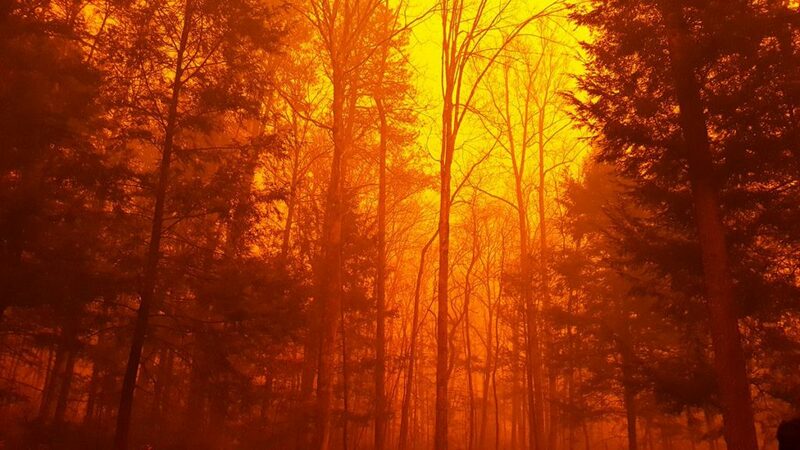 (Our thoughts and prayers are with you and all of the brave men and women fighting the blazes right now.) And we remember the headlines from last year about Gatlinburg, Tennessee. There’s always a chance you’ll be in an area when a fire starts or had planned to pass through where fires are burning. 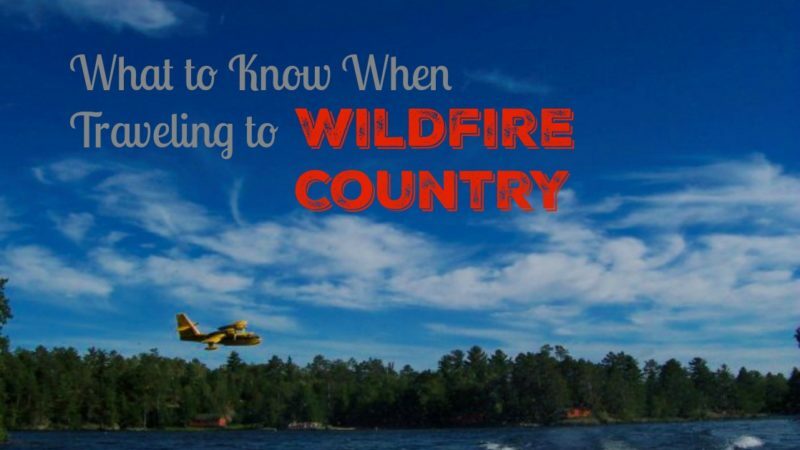 This former firefighter tells you what you need to know to help and offers some wildfire safety tips to keep you and your family safe. Fire is everywhere–I’m having trouble thinking of a single state that doesn’t have some wildfire presence. 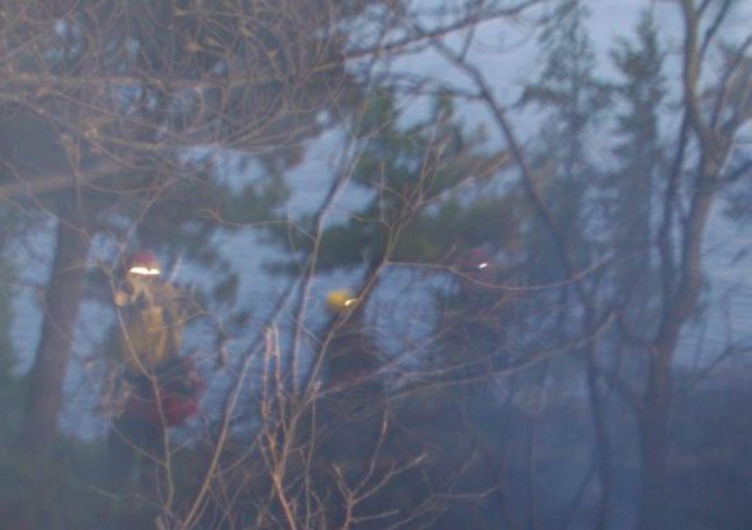 Heck, I even had to respond to a fire while working in the temperate rainforests of Alaska. Fortunately, there’s an entire command structure between the government agencies and area municipalities nationwide that is meant to keep everyone safe. It’s like an episode of Storm Chasers some days: The general public stops on the side of the road, iPhones out, ready to be the first to get 55 likes on Facebook by posting the most intense footage. I get it. We all get it. It’s not any different than the pull when you see the blue and red flashing lights along the side of the Interstate. You’re compelled to look. Curiosity is at its peak during a catastrophe. On the news, we see declarations of disaster, evacuations, footage of the destruction. Somehow, it’s not real until you see it firsthand. This is all a drastic change from the quietude of nature that your vacation was seeking. We get it. Let’s just agree to go about being in these areas in the right way. “Looky-Lous” are akin to insects buzzing around a firefighter’s hardhat. But in some areas it can be downright deadly to be in the wrong place, especially for no good reason. You drive up on a sign that warns: “Slow! Smoke over the road. Headlights on for Safety!” Not only does this mean you should have your lights on and go slow, there is a really good chance that firefighters are in the area working. They’re being hyper-vigilant by being safe and watching for traffic. But someone driving like a stunt actor through flames and smoke isn’t going to end well for anyone. It’s also surprisingly hard to imagine just how blinding the smoke is when driving (even with lights on) until you’re in the thick of it. It’s hard to see. Literally. The people telling you that the park or campsite or road is closed aren’t trying to ruin your vacation. Even though you’re bummed, take heed. If local residents are threatened, manpower has to be diverted from fighting the fire to herd the tourists and police closures. Remember that scene from Disney Planes: Fire and Rescue where the firefighters are being dispatched and they say “fires happen all the time, you guys only hear about the big ones?” It’s true. 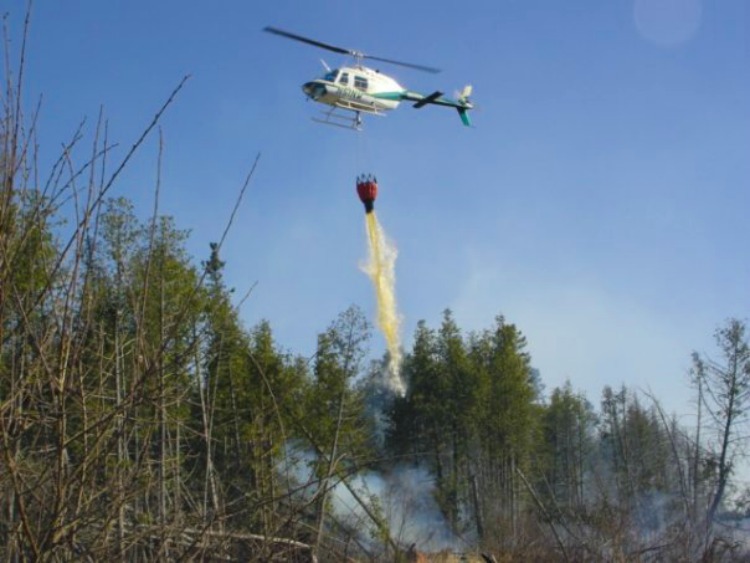 The film offered a relatively realistic portrayal of fighting wildfire. Even then, you’ll recall the evacuation problems at the lodge when initial warnings weren’t taken seriously. When an evacuation is called for, leave as quickly as you can. It’s honestly one of the WORST jobs to have to tell people no. Firefighters and information officers do not like to disappoint. Wilderness rangers loathe going into your campsite and making you leave. Most of the time it’s only what-if scenarios that are driving better-safe-than-sorry decisions, but then again, what if? Please help the situation by keeping calm and cooperating. As powerful as we as humans consider ourselves, when things like fire come to call it’s like Mother Nature’s wrath. We have few weapons other than time, hope, and manpower once an ember is lit. So much is to be said for prevention — before the vacation turns into apocalyptic ashes falling around your picnic area! While camping, be extra careful about your fire. 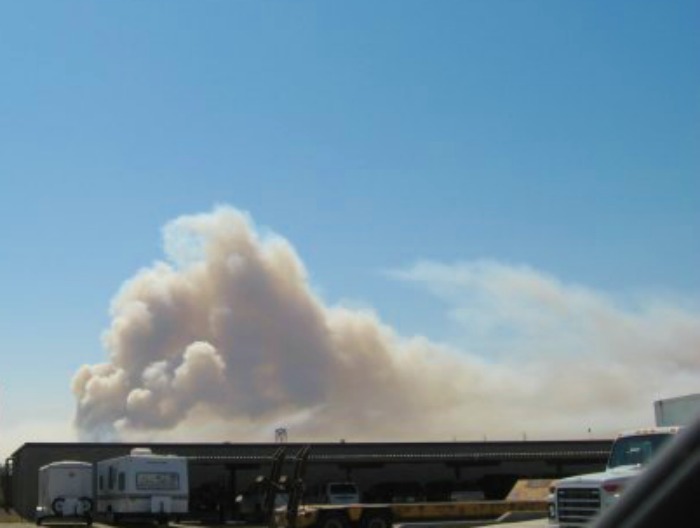 Listen if restrictions are in place — not only could you be fined or asked to leave, you might also end up paying for a multi-million dollar firefight if your campfire escapes. If it’s dry, maybe PB&J sandwiches can trump hot dogs for dinner. Make sure fires are “dead out” before leaving. This is an amazing opportunity to take the lessons outdoors and teach kids about fire safety and outdoor integrity and responsibility. And by all means — LEAVE THE FIREWORKS AT HOME! Additionally, common sense and keeping apprised of conditions around you matters as much as your own fire safe actions. Backcountry camping requires preparation just as front country camping requires cooperation! If you’re hiking in a popcorn-dry forest and a lightning storm passes through, odds are good that you might have a few new fire starts nearby within a day or so (depending on region.) Here’s the thing…everyone these days wants to “do” Wild. But the truth is, without proper preparation and know-how, you could get into a lot of trouble! The same goes for adventures beyond the PCT (which travels through a good chunk of wildfire country) and extends into our favorite resort cities. Maybe you’re not camping out at all — you’re in town to enjoy a waterpark! It’s still good to know proper procedures (and follow instructions) should the resort need to evacuate. If you know you’re vacationing in an area that is prone to wildfire during certain seasons or if there are warnings the area is ripe for fire activity, have a contingency plan. 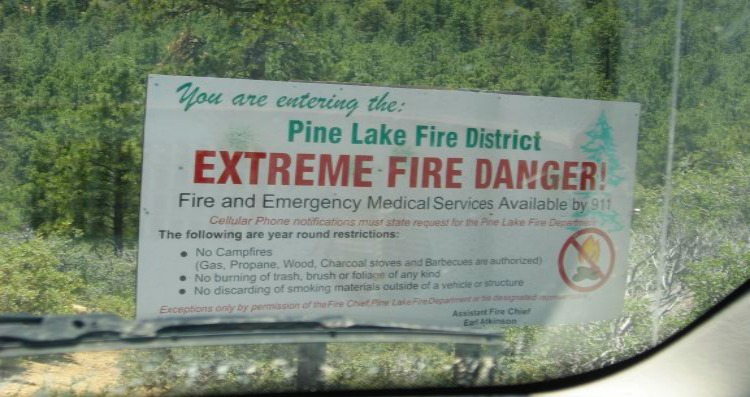 Figure out where you can go if your park, forest, or resort is unavailable due to proximity to the fire action. Ideally, you can try to avoid burning backcountry and desolate back roads in fire areas entirely. By planning ahead just a bit you can salvage your vacation and help everyone stay safe! Check with local land managers — out west, a good bet is Bureau of Land Management or the USDA Forest Service. 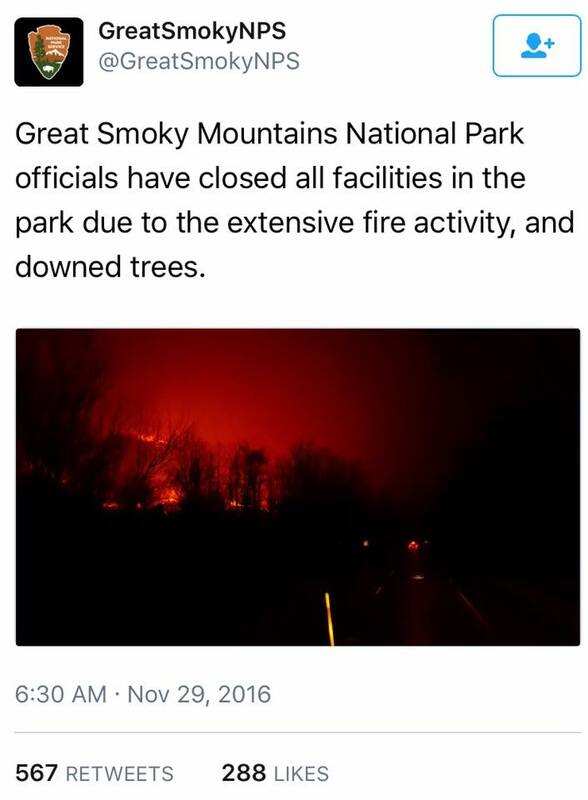 The National Park Service is another good spot to find information about on-going incidents in your intended travel area. This might be a great time (for most regions winter is for skiing not smoky wildfires) to check with your insurance providers. Check to see if your home is covered for wildfire damage (you’ll travel at ease with questions answered.) Also check with your trip insurance provider and buy travel insurance before you go. If it’s late August and you’re taking in Yosemite or the Klamath National Forest, yes, you might want to do some checking. If you have reservations in hotels or resorts and you know fires are impacting the area, call ahead (by a few days). There may be flexible options for cancelling due to the situation. Most are used to it and will be able to help you with options. They may even provide information about road closures and extra local tips. As unhelpful as it may seem for planning — things change quickly for better and worse — a road closed one day can open the next if the wind shifts and smoke clears. We’re not suggesting you deep six the plans to enjoy a summery mountain getaway. We just hope you and your family enjoy nature while keeping these wildfire safety tips in mind. Not only can you be a BIG help by being smart and courteous in fire areas, you can help families of those brave individuals out there each day that aren’t lucky enough to return home unscathed — or at all. If you’re so inclined, this organization is amazing. Remember the tragic fire in Yarnell, AZ? Well, the Wildland Firefighter Foundation is able to help families that lost loved ones and firefighters who were injured in the line of duty thanks to generous donations. The dozens of signs that say “thank you” along roads, on sandwich boards and reader signs outside of diners are always appreciated. There is nothing more rewarding for a firefighter than helping the people and resources of an area and knowing how they’ve touched lives. It’s true, we love our work and most probably wouldn’t change job descriptions for love or money once we’ve been bitten by the firebug, but it’s always nice to know folks care! 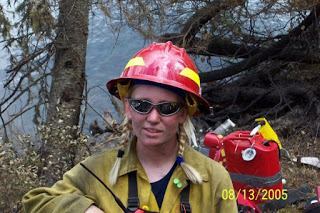 Before Amanda Jones became Rural TravelingMom, she was a badass firefighter. In ten years of leading a wildland firefighting squad and working on fire prevention and security assignments, she’s seen her share of crazy moments when it comes to the wildland urban (and public) interface! She says: “Since most firefighters are also public civil servants by default, we’re focused on helping people but many incident could be easily avoided with a little common sense. I haven’t had any heroic bear cub rescues, but I’ve been riding in crew buggies smiling and sooty after extinguishing a blaze as I read “Thank you, firefighters!” on posterboard signs along the highway. 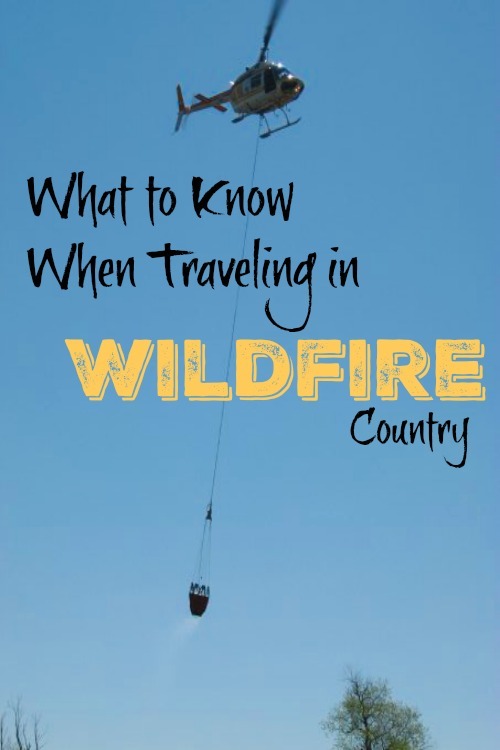 Have you been traveling in an area impacted by a wildfire? Share your story with us in the comment section below. What remarkable reporting depth. This is important for me in my travel, and for everyone. How do I find the reports of my route from Oakland to Las Vegas regarding hazards and fires? I heard that smoke from area wildfires can be difficult for toddlers. Any advice? Your local news and officials should be announcing regularly when air is particularly unhealthy due to smoke in the air. It might be a good time to leave for a weekend getaway if you want to be outdoors but are finding the air difficult or unpleasant for the kids. Stay safe!